The Rebel Sweetheart. 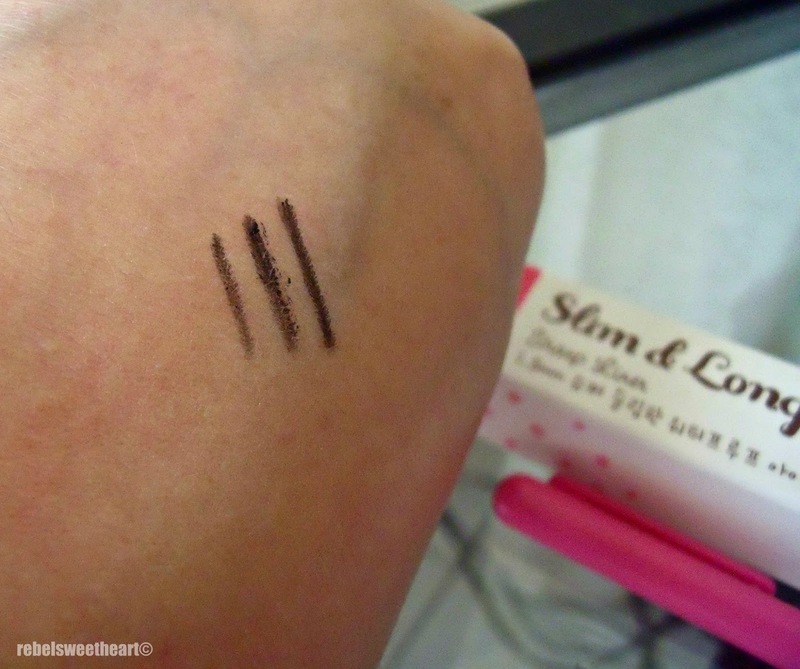 : Spotlight | Etude House Slim & Long Sharp Liner. And I almost forgot that I have this in my stash! 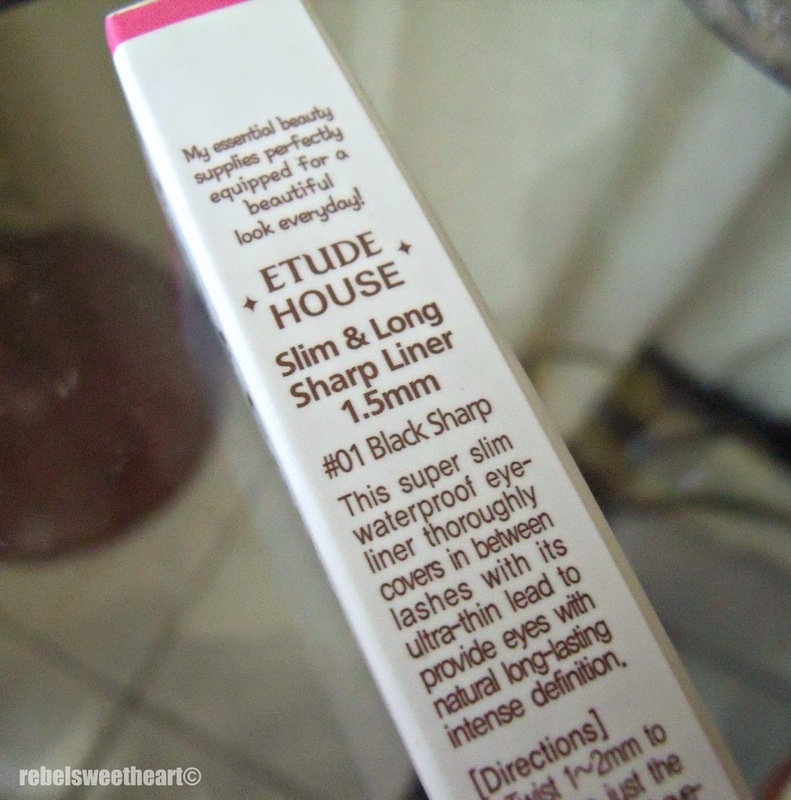 It's the Slim & Long Sharp Liner from Etude House, which I have had since... I can't even remember. My bad, haha! 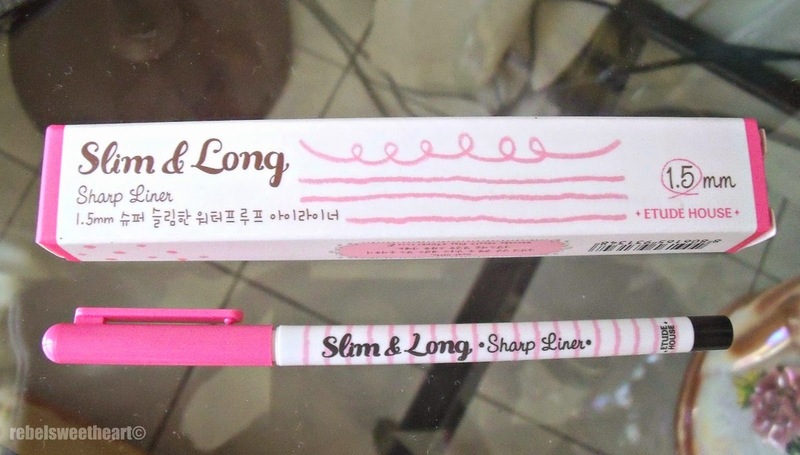 Etude House Slim & Long Sharp Liner. Thanks to my son, who went rummaging through my things in search of a new pencil, this eyeliner managed to come out of hiding. I am relieved that he showed me his 'discovery' first before actually using it on paper. Lol! True enough, it really has a super slim point at 1.5 mm in diameter. It's actually the smallest and thinnest that I've used by far. Perfect for tight lining! 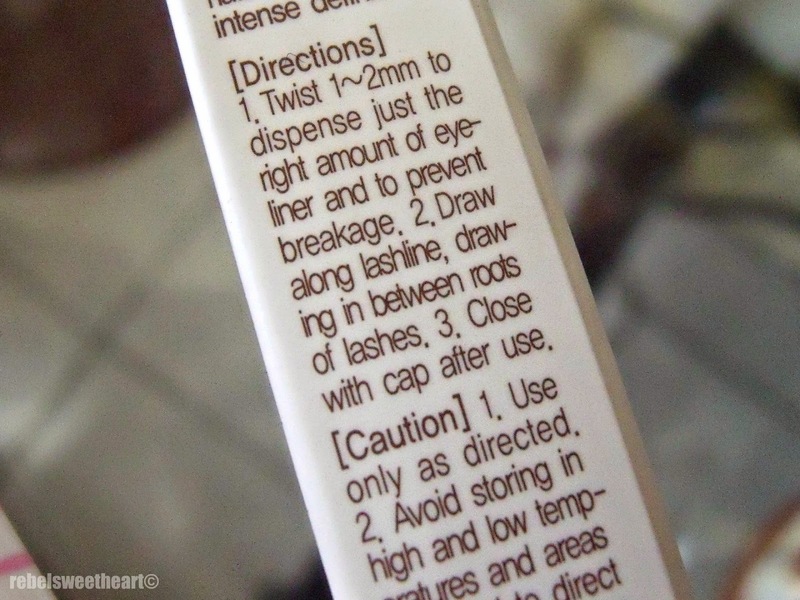 And since it's an auto pencil eyeliner (that's packaged like a ballpen), you simply twist it so the lead goes up. No need to sharpen! You have to be extra careful in twisting it, though. The lead tends to break when extended too far out. Here's how the product looks like when swatched. It's quite pigmented, as you can see, and the color is buildable, too. It comes in three colors - #01 Black , #02 Gray, and #03 Brown. Mine is the #01 Black. Left, lined once. Middle, lined twice and then the tip broke. And here's how it looks like when worn. 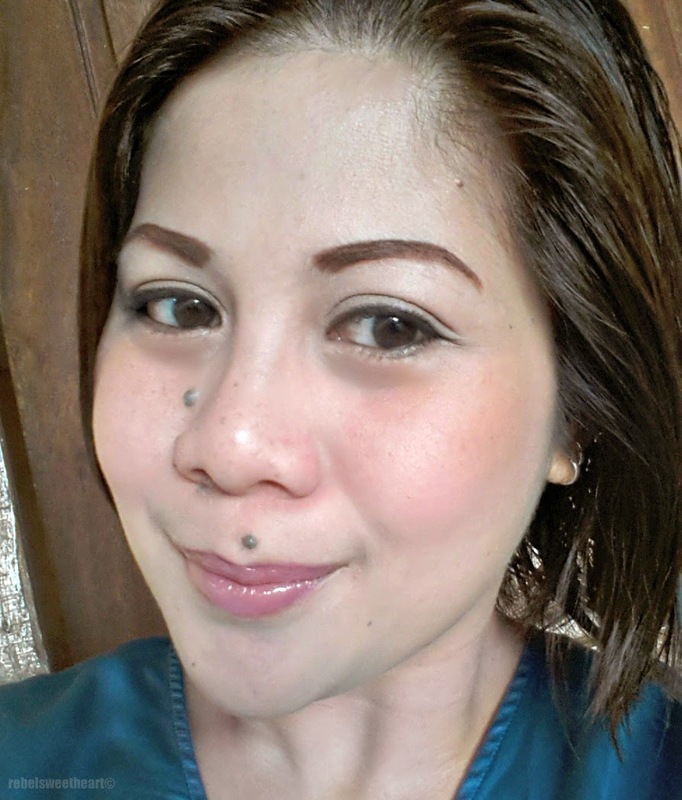 Etude House Slim & Long Sharp Liner on my upper and lower lashlines. Like what I've said earlier, this product is great for tight-lining. You can use it on both upper and lower lashlines, though it did tug a wee bit on my upper lashline. 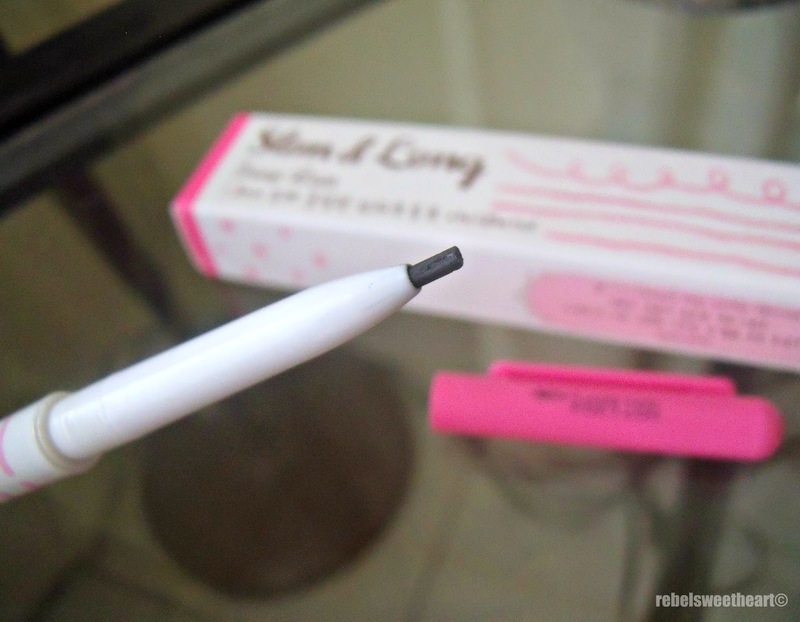 It didn't irritate my eyes, though, and that's one of the few things I like about this eyeliner. - Super sleek and uber cute packaging. 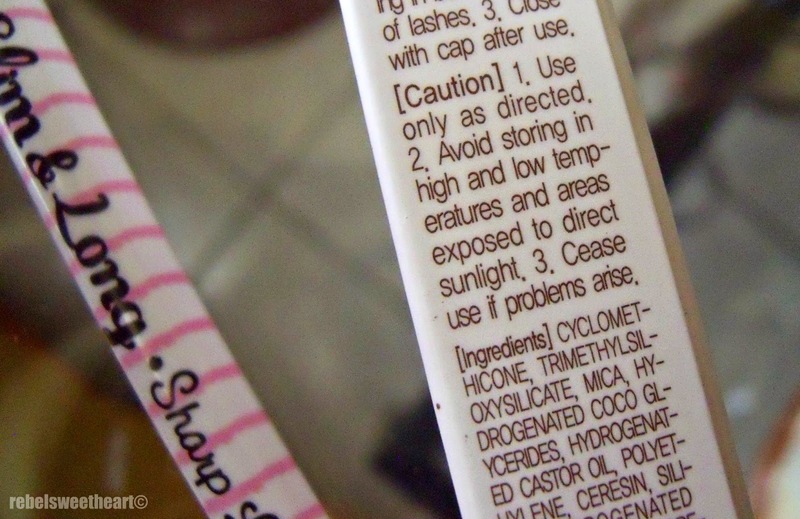 - Non-irritating; safe for sensitive skin. - No need to sharpen. - Tugs a bit; doesn't glide smoothly. I love waterproof eyeliner (and mascara) and I really like the design- looks like a good one to use...Thanks for sharing! My daughter would love this. This is her type of liner. I'm going to have to share this with her. Luckily your son reminded you of it. I love how thin you can put it on. It could almost be really natural to look at! Very nice and looks smooth! I love makeup so I really love seeing stuff like this. I need to get this! What a great eye liner! Their packaging is really nice. And it looks great on you! I love eyeliners and I will have to get one of these. I love that you can do more than just one thickness line with this. Thanks for sharing. I don't wear makeup, but I like the cute and fun packaging and design. My initial thought was that they look like a more whimsical version of the Sharpie pens I use for writing!